AdWords specialists Nina Cruz, Leslie O’Bray and Kaylyn Frazier hosted a Hangout on Air yesterday about the new Upgrade Center. Nina and Leslie demonstrate how to use the upgrade center to quickly and easily upgrade and/or merge your legacy campaigns. Starting on July 22, 2013, we will begin automatically upgrading all campaigns to enhanced. Our specialists navigate through their AdWords accounts so you can see exactly what the interface looks like when making bulk upgrades and merges. They also demonstrate how to review changes before submitting the final upgrade. You can view the full Hangout on the Google Business YouTube channel. Stay tuned for our upcoming Google Analytics series, which will be held every other Thursday at 11 AM PST! This entry was posted in Google and Your Business and tagged Business on May 31, 2013 by Jade Wang. Courtney Pannell and Alys Donnelly from the AdWords team hosted a Hangout on Air yesterday with Tommy Sands and Moshe Avichai — two Top Contributors from the AdWords Community. During the roundtable discussion, Tommy and Moshe gave their advice on best practices for creating effective ads, using tools in the AdWords interface, measuring ad performance, and much more. Watch the full 35-minute Hangout on Air below, or, visit the Google Business YouTube channel. To learn more about how to get started with AdWords, visit our Help Center, check out the AdWords Community, or call us at 866-2-GOOGLE if you already have an AdWords account. And remember to stay tuned for upcoming Hangouts on Air! This entry was posted in Google and Your Business and tagged Business on May 30, 2013 by Jade Wang. One of the most requested features we’ve seen so far for Google Calendar on Android is the ability to customize event and calendar colors directly from your device. Today’s update allows you to do just that. Now you can highlight those super-urgent meetings and important birthdays, or just switch up the color of your calendar whenever your heart desires. 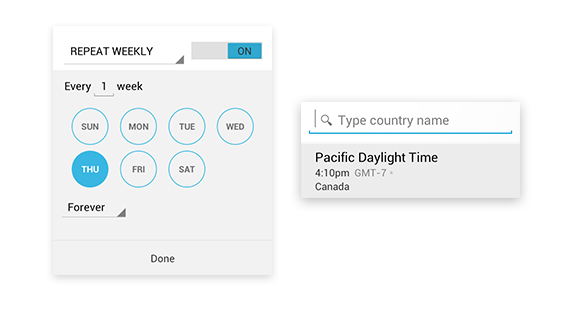 Adding events is now easier and more fun with our redesigned date and time pickers, which let you schedule your special dinner date or the start of your well-deserved vacation in a snap. For all of you world travelers, our redesigned timezone picker makes it simpler to find the region that you’re looking for, whether you’re in San Francisco, Tokyo or Zurich. Finally, it’s easier to schedule repeating events. You can now set events to repeat every Tuesday and Thursday, every month, or every 7 weeks, it’s completely up to you. The latest version of Google Calendar is built for devices running Android 4.0.3 and above (Android 4.1 or higher for custom event colors). Get it on Google Play, rolling out over the course of the day, and let us know what you think. This entry was posted in Android Blog and tagged Android on May 29, 2013 by Unknown. Gmail is getting a brand new inbox on desktop and mobile. This entry was posted in Official Gmail Blog and tagged Gmail on May 29, 2013 by Itamar Gilad. Want to learn about YouTube straight from the experts? Whether you’re just starting out or you want to take your channel to the next level, the YouTube Creator Academy can help you get there! The Maximize Your Channel course will dive into the different parts of the new YouTube One Channel, explain how each can help you attract more subscribers and viewers, and give you the opportunity to freshen up your own channel while you learn. The course is free and open to a global audience. Rack up your subscribers. Find out how to draw new viewers to your channel and get them to subscribe. Make channel a daily destination for viewers. Curate and organize content so viewers will find what they’re looking for and keep coming back for more. Have your channel look good everywhere. Every channel is unique. You’ll learn how to make your brand pop across every type of screen: TVs, laptops, tablets, mobile, gaming consoles. Check it out! Reserve your spot in the course today. Registration is ongoing until the course closes on June 16 at 8 pm EDT. This entry was posted in YouTube Blog – Australia and tagged YouTube on May 28, 2013 by Johnny Luu. On Tuesday, June 4th we’ll host our annual digital leadership summit, thinkDoubleClick, with provocative conversations about the future of digital marketing and media, and you’re invited to join via live stream by registering here! How do creatives leverage, but not be overwhelmed by, technology to deliver next-generation consumer experiences? What unique experiences are publishers developing that add value to consumers and advertisers alike? How do CMOs best use social with other marketing channels to build strong brands? The full agenda for the thinkDoubleClick event is listed below. You can join in the conversation on June 4 by using the #thinkDCLK hash and commenting during the live stream at www.youtube.com/doubleclick. The Coca-Cola Company sells over 500 brands in 207 countries, with over 700,000 System associates and 1.8B+ servings of their beverages everyday. Hear insights and lessons learned on how the world's most valuable brand is remaining relevant by becoming more connected, transparent and nimble in real-time. This year, Volkswagen and Deutsch LA partnered with Google to work on a briefto re-imagine how to build a stronger, bigger community around its brand. In today’s connected world, telling stories alone isn’t enough; we need to create tangible value and utility to bring the brand’s promise to life. In this session the creative team from Deutsch LA will be talking about the process for developing more rewarding and shareable experience. Time to Rethink the Marketing Mix? Technology has had a profound impact on the media industry. This disruption, though, has brought along significant opportunities for creative publishers to thrive. In this session we’re bringing in three executives to show how they’ve leveraged the digital revolution to deliver more engaging content and differentiated solutions to advertisers. We look forward to seeing you on June 4th at thinkDoubleClick. This entry was posted in Google and Your Business and tagged Business on May 23, 2013 by Jade Wang. Since 2010, Google Fonts been collaborating with the Adobe Typekit team to create better web font technology. And now that many fonts first published by Google Fonts are also available in Adobe Edge Web Fonts, we’re extending that collaboration beyond just software to fonts themselves. Together with Adobe, we want to improve the quality of open source fonts available to everyone publishing on the web. As a first step, the Typekit team has optimized Rosario, a humanist sans serif based on the classic proportions of Garamond’s type. After making some of these improvements, Typekit sent their version back to the foundry to review and release on the Omnibus Type homepage. The updated Rosario family is now available in Typekit, Adobe Edge Web Fonts and Google Fonts. Together with the Typekit team, we’re looking forward to more quality improvements in the future! This entry was posted in Google Web Fonts Blog and tagged adobe, Fonts, ofl, omnibus type, rosario, typekit, Web Fonts on May 23, 2013 by Dave Crossland. Springtime is in full swing; can you feel it? In the grand tradition of spring cleaning, we’ve got a few ideas for freshening up your business online. We believe that a tidy online presence can go a long way in kicking off a season of growth for your business. Does your business have a website? If not, check out our Help Desk Hangout with Get Your Business Online to get started on the web. If you’ve already got a website, do a quick check to make sure your contact details, like business name, phone number, and address are accurate and current. You might also update seasonal hours, if it’s relevant for your business, or refresh the branding for your business if it’s changed recently. Extra Credit: Learn about analytics and to measure and grow your website’s success. Are you connecting with customers and potential customers online? It’s easy to do so using social media, and we’ve got some Google+ tips to help you get started. You can post updates about your business easily or engage in conversations with customers. If you’re already set up with social media, it might be a good time to check your channels to make sure you’ve posted recently. If not, check in with those communities. Extra Credit: You can learn how to use Google to measure social performance by watching our webinar, Social that Adds Up. 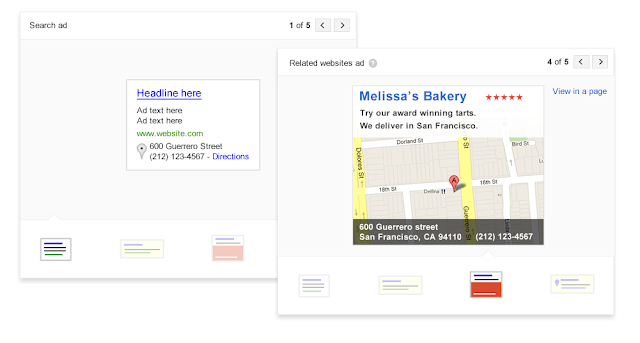 Are you using Google Places for Business to manage the listing for your business on Google Maps? If not, you should become a verified business owner. 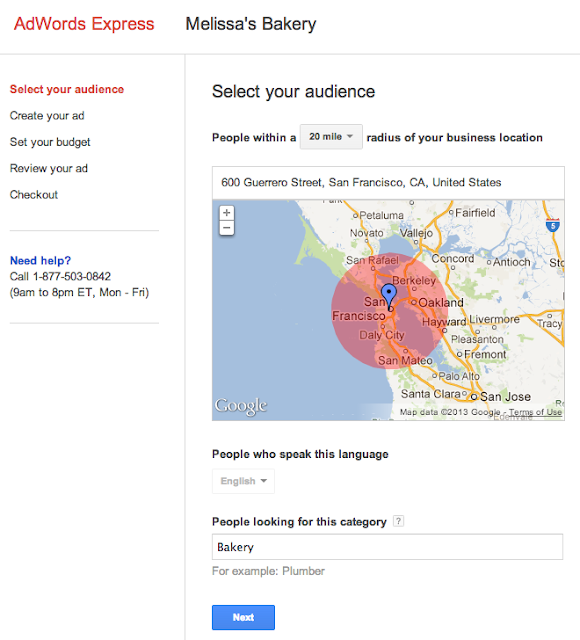 This will allow you to manage the listing on Google Maps for your business and update it as needed. We’ve got some tips to help make sure the listing stays healthy, too. Extra Credit: If you spot inaccuracies on a page, click on Report a problem on the right hand side of the page to let us know. This entry was posted in Google and Your Business and tagged Business on May 22, 2013 by Jade Wang. The process of creating and accessing your stuff shouldn’t be, well...a process. 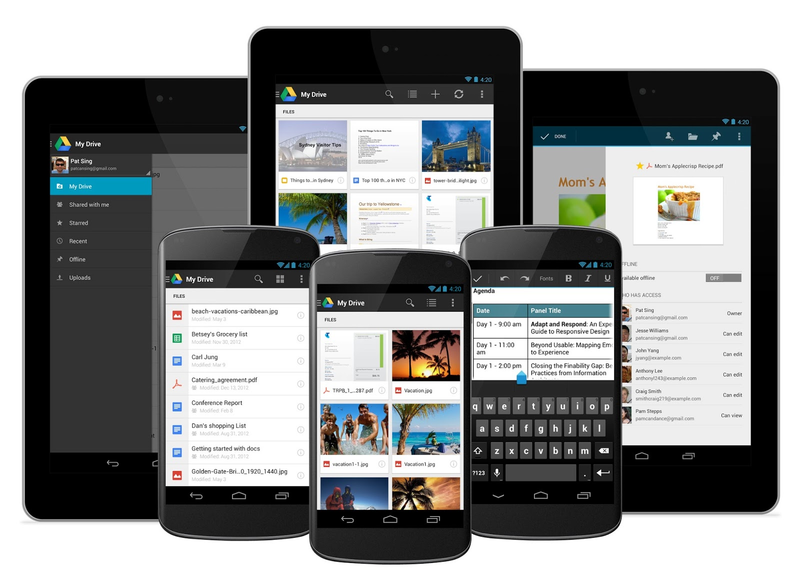 Today, the Drive app for Android is getting several improvements to make creating and accessing your stuff on-the-go even easier. To help you find the content you care about, Drive files will now be displayed in a clean, simple card-style. You can swipe between files to see large previews that let you quickly review and discover the information you’re looking for. And if you want to keep some Drive files on your Android device, you’ll now be able to “download a copy” from the actions menu inside settings. 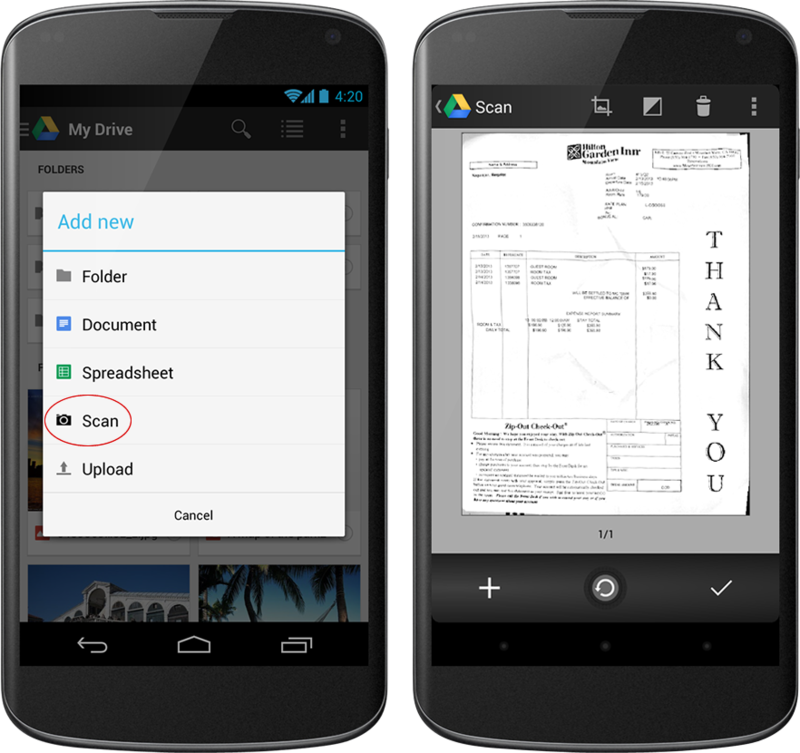 The updated Drive for Android app also gives you to a way to keep track of important paper documents like receipts, letters, and billing statements. 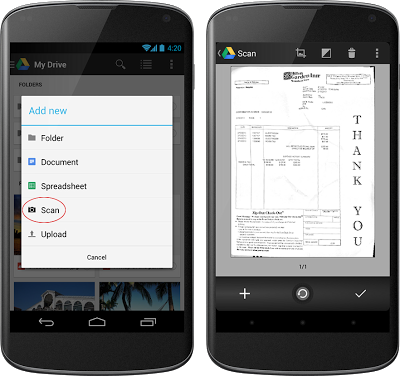 Simply click “Scan” from the Add New menu, snap a photo of your document, and Drive will turn the document into a PDF that’s stored for safekeeping. And because Drive can recognize text in scanned documents using Optical Character Recognition (OCR) technology, a simple search will retrieve the scanned document later. No more frantic scrambling through drawers looking for a receipt or digging through your pockets to find that business card -- just scan, upload and search in Drive. The editing experience in Google Sheets has also gotten some improvements: now you can adjust font types and sizes for a spreadsheet and tweak the cell text colors and cell alignment right from the app. Plus, the Drive app comes with Cloud Print support so you can print anything from Drive with a Cloud Ready printer -- perfect if you need to, say, print that extra resume right before a job interview. Get the Google Drive app today on Google Play and circle us on Google+ for continued updates. 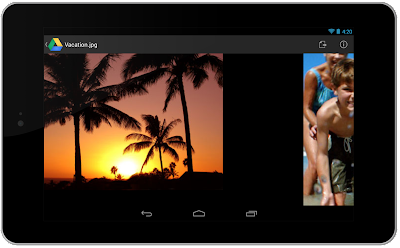 This entry was posted in Android Blog and tagged Android on May 22, 2013 by Unknown. Today, when you log into AdWords Express, you’ll notice a brand new look. We’ve listened to your feedback and worked with a lot of small businesses to streamline the AdWords Express experience. 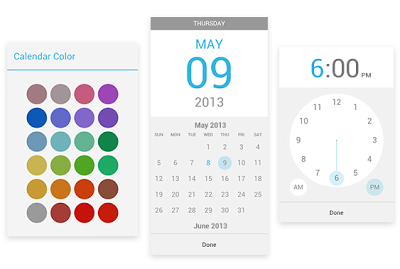 It’s part of our ongoing efforts to make Google products more beautiful and efficient. Small business owners have told us that they’re busy and that they don’t want to spend time looking for the information they need. We redesigned the dashboard to show you at a glance how many views, clicks and calls your ad has generated. There’s a simple pie chart for tracking your monthly spending, and you can also compare results over time with the new performance graph. We’ve made some significant improvements to the signup experience. Now there are just 3 steps to start advertising: select your audience, create your ad, and select your budget. Getting your ad set up shouldn’t take more than a few minutes. With the new real-time ad preview box, you can now see your ad created right as you type. Just hover over the icons to preview all the ad formats that are available based on the text you provide. Try it out by creating an ad at google.com/adwords/express. We’re constantly working to improve the AdWords Express user experience to make it easier for small businesses to get their ads online. Keep the feedback coming! 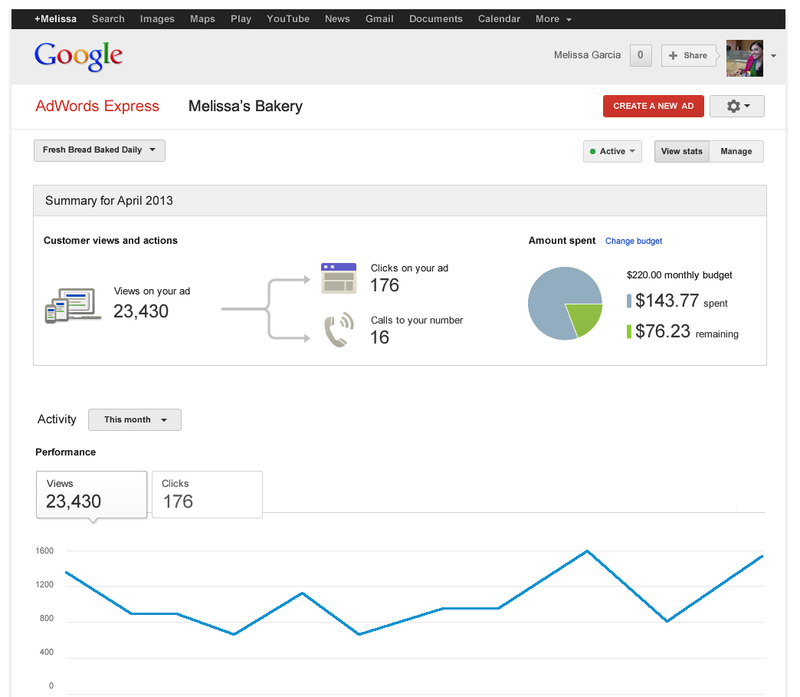 This entry was posted in Google and Your Business and tagged Adwords Express, Business on May 16, 2013 by Jade Wang.